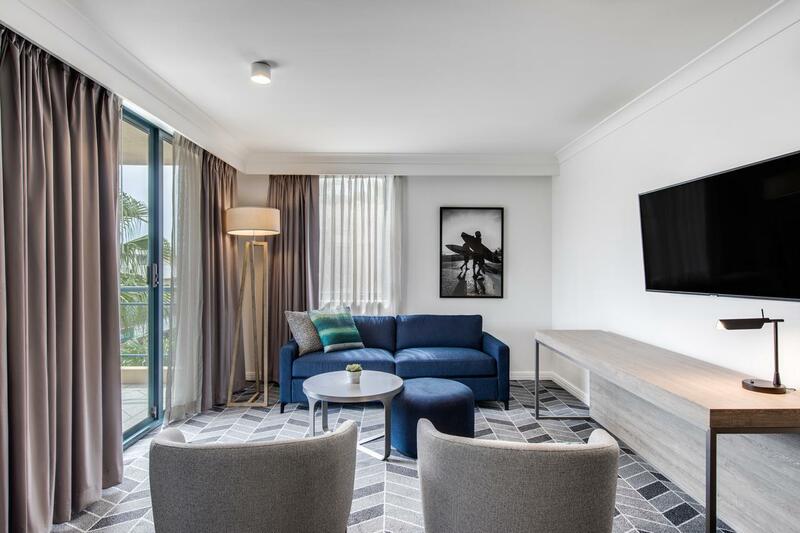 "Comfortable and quite convenient to the task at hand"
Have a question for Adina Apartment Hotel Coogee Sydney? "With anazing food and fantastic coffee." "Such a great central spot." 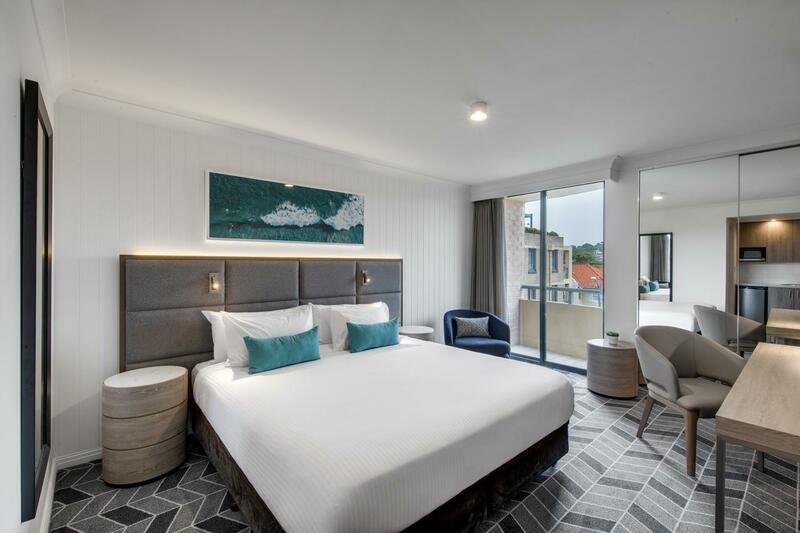 A short walk down to the beach and not far from the central business district, Adina Apartment Hotel Coogee Sydney is excellent for both business and leisure travelers. 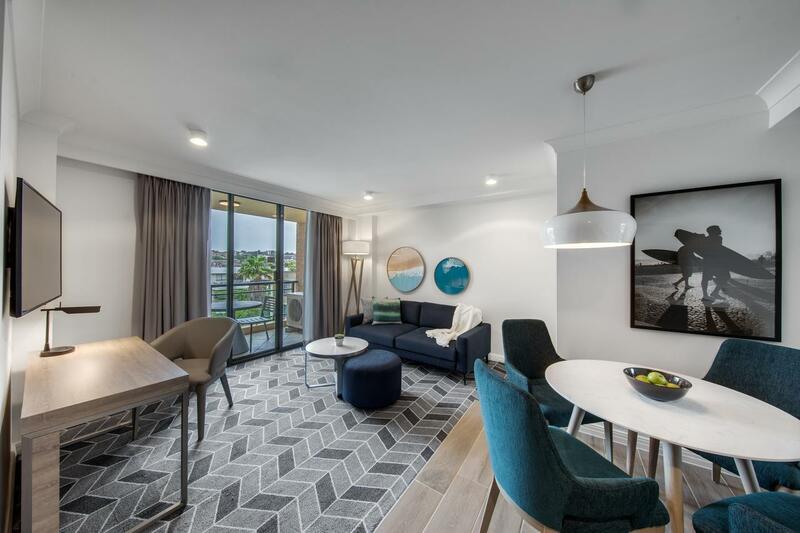 For getting down to the shopping, restaurants, nightlife, and business functions of the central business district, you won’t have to go far, and for an evening stroll on Coogee Beach, you’re right around the corner as well. 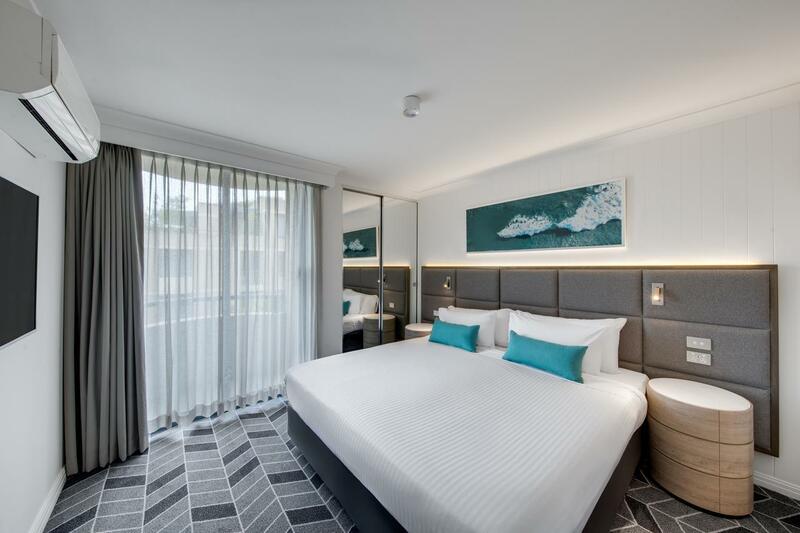 Wake up and enjoy a continental breakfast, go for a swim in the indoor heated pool, have a workout at the gym and sauna, and make your way off to visit the sites and attractions of Sydney. And for travelers here on business, there is the business center and easy transportation access to everywhere you need to go. Return back home and have an in-room massage and enjoy a walk in the courtyard gardens! 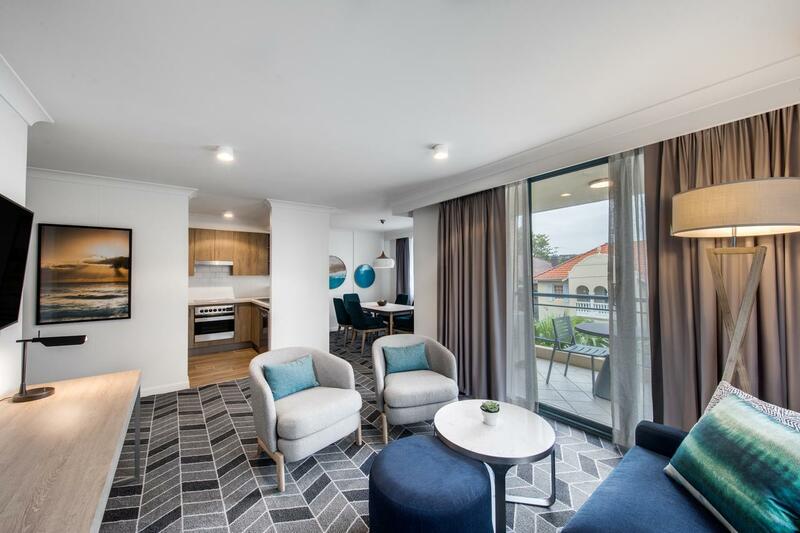 "Apartment was very clean, staff very friendly and helpful"
Please note that parking facility is available at a charge of AUD25 per night. The apartment was very reasonably priced for its location and access to transport and sites. A walk from the beach and brilliant restaurants in walking distance. Easy public transport to CBD and circular quay. Nice location close to Coogee Beach. It took awhile to get to downtown Sydney by bus though (I think it was about 30 min). Since we were there over New Year's, the price seemed very expensive for the hotel. We tried to make an international call about our lost luggage from the room, but the phone didn't work. They did let us make a local call from the lobby, which was nice. No pool, but the little patio and the AC were nice. Hotel and room facilities were very well appointed but the Studio Room was just a little small. Having the kitchenette was great for impromptu breakfasts after a sleep-in or snacks in the evening. Really enjoyed our stay and would come again. Small shopping centre across the road for easy access and spoilt for choice of restaurants within 200 metres, plus Coogee Beach a 2 min walk. 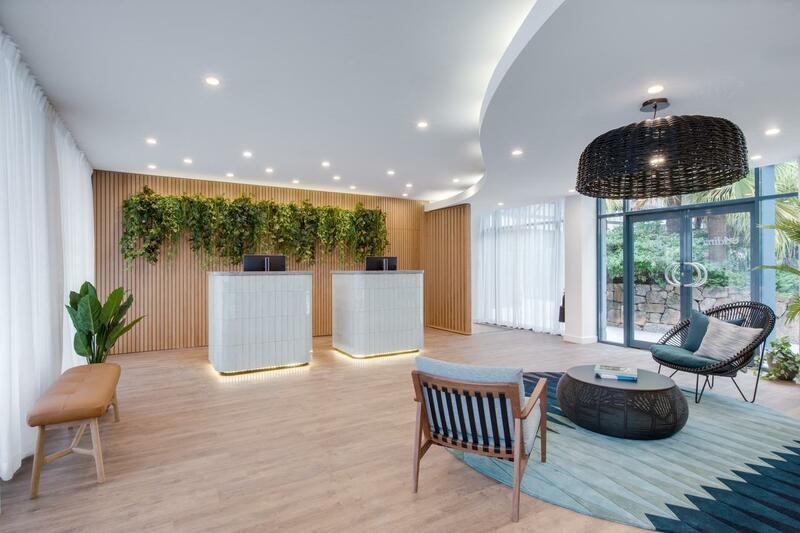 Only downside was the hefty rate for WiFi Internet connection - way over its cost and in this day and age, hotels should fit in with global trends to make WiFi free, - building a small fee into the room rate would more than cover costsand still make a profit. Currently this is just a big money grab because most visitors would want to be online during their stay. Near beach, Near 24-hr convenient marts, Restaurants and bars. It was a pleasant experience, good customer service. And the room was quite clean, tidy as well. However, they should have wireless wifi in the room, instead of connecting to the internet via lan cable. Well, overall it was value for money. i was thinking whether i stay in bondi or in coogee. i took coogee because i need more silence and less people for our holiday. and staying in this hotel gave us relax as well as fun time. i would like to come back again someday for sure. Smiles and a positive attitude all round. We only stayed for 2 nights - and in a Studio room - it suited the 2 of us perfectly.It was clean, fresh and quiet. We are booked in for 3 nights early Jan in a 2 bedroom suite and the friendly cleaning staff allowed us a quick look at a couple of lay-outs. Very impressive. We will be trying to claim room 67 as the date gets closer. All in all, very satisfactory. The Medina Coogee Bay is located in the heart of coogee Bay about 100 metres from the beach. the rooms are modern and clean with good facilities and very friendly and helpful staff. A good value place to stay if you can book early and get the right price. everything is good,5 mins walk to the beach, higher than my expection, got dish washer, washing machine and dryer as well, one things that let down is no view in the room, I was staying in first floor but the receiption told me even upper levels doesnt have view for Coogee Bay, another things is got big ants in the sink of the kitchen. Great location ...away from the noise of beach strip but easy walk to great cafes. We were greeted at The Coogee Medina by friendly helpful staff who helped us with parking and local directions. Our room was clean and well appointed with finishes that made it feel like somewhere special. The staff in the Medina were friendly and welcoming from the desk staff to the cleaners. We would stay there again ....good value for money particularly in this part of town. A really nice hotel with a great location since it is located just about 50 meters from the beach. The receptionist is so friendly and always greet us with a smile, not only the receptionist but all the staff as well. Comfortable room with a clean bathroom. Value for money since it is located in the tourist district yet it is affordable, and it is near a lot of cafe, boutiques and a lot of other stores. Making it easy for us to get souvenirs and else.